Part of learning to handle money in a responsible manner is also learning how to be charitable and giving in nature. I would venture a guess that no parent wants their child to become a miser and act like Ebenezer Scrooge, but parents may worry that if they focus too much on financial concepts their child might become overly fanatic about money. Striking a balance between managing their own money and helping others is yet another skill that takes practice. As with many money management concepts, there are differing opinions and methods. The key is to find the approach or combination of approaches that works in your family and that matches your family’s values. I have seen two fundamental approaches to getting kids involved in charitable giving. One idea is to have your child divide all of their income into portions, such as a Save portion, a Spend portion and a Share portion. The amount of money that is placed into the Share portion would be allocated for a charity donation. For example, if your child gets $5 per week for allowance, you might split it into $2 for Savings, $2 for Spending and $1 for Sharing. If you child does not get an allowance, you could also use a percentage method for the money that they earn from extra jobs, such as 40% Savings, 40% Spending and 20% Sharing. Other parents want their children to independently choose to be charitable instead of making them divide their income. They believe that to truly teach charitable giving, kids need to want to give their money as opposed tohaving to donate. With this approach, the parents model the desired behaviors and encourage their children to get involved. Examples would be involving the children in deciding which charity to donate to or getting the family involved in fundraising activities for a specific charity. I think it is important to note that charitable giving does not exclusively involve giving money. Kids need to know that giving involves attitudes and service, not just writing a check. When children see their parents helping a neighbor, picking up trash or allowing someone to go in front of them at the grocery store, they are witnessing kindness and a giving attitude. I truly believe that if a child sees this behavior on a regular basis, they will be more likely to adopt this attitude themselves. Daily random acts of kindness are the foundation for developing a giving attitude. 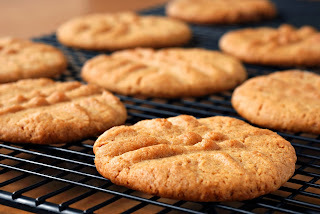 Bake cookies for a local senior home or a fire/police department. Plant produce and donate the harvest to a local food bank. Pick up litter at a park. Collect travel toiletries and donate to a local shelter. Make a gift basket for someone in need. Make a book on tape to contribute to a local daycare center or pediatric patients. Make bookmarks and leave them in a basket at your local library. Have a neighborhood book drive. Donate books to a local shelter or day care. Make fleece blankets for children’s hospitals. Offer to wash a neighbor’s dog or car! Collect items for care packages to be sent to the troops. 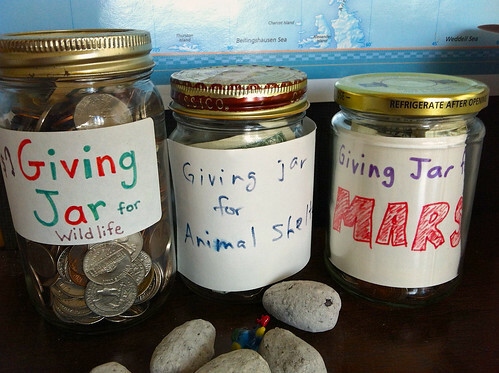 How do you develop charitable giving with your kids? Please share your ideas.